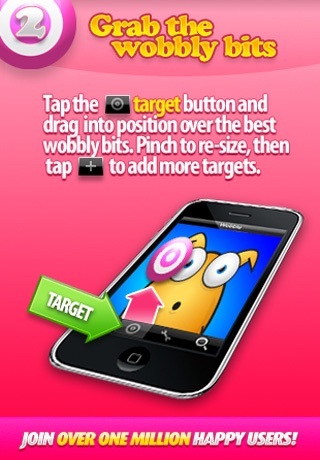 Wobble Anything on your iPhone or iPod :: Pick a photo, add targets, shake & magically the bits Wobble just like real. 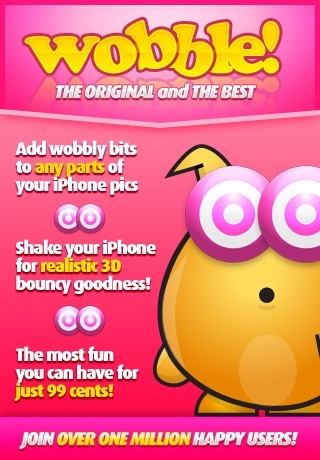 - Shake your phone & the Wobbly bits magically start wobbling! Email to friends or embed in your favorite website or blog! 3. Finger Gestures - one or two fingers - wobble by touch! 5. 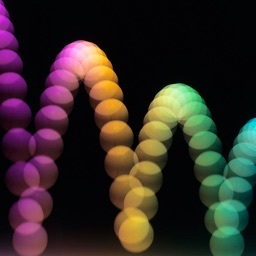 Zoom & crop photos before adding Wobbles. 6. Rename Wobbles when saving. 7. Easy delete & edit button. 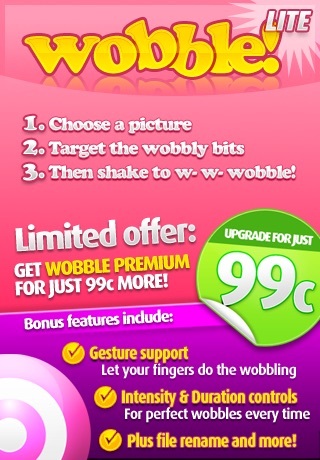 Don't forget to rate Wobble ★★★★★ 5 Stars if you like it! 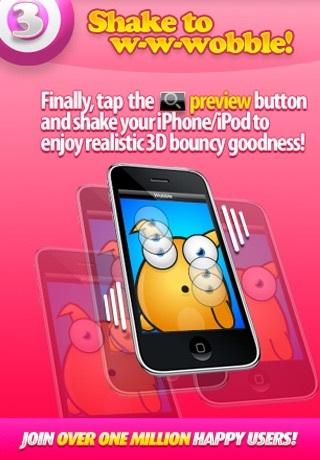 More than 50% of our happy users have rated Wobble FIVE STARS!